Jeff Loomis has seared his mark on multiple subgenres of metal with his smooth technique at breakneck speeds. His rhythmical style became central to the Seattle-based progressive metal band Nevermore’s sound, while his two solo albums tore apart the technical metal scene and featured intricate fret work laced with soaring solos. As the current guitarist for the world renowned Swedish melodic death metal act Arch Enemy, he continues to build upon his legacy with the most astonishing riffs the genre has ever heard. 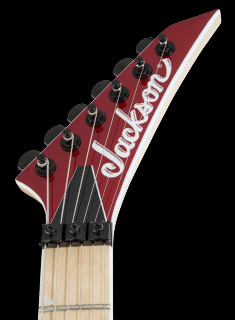 Jackson is thrilled to honor the gifted musician with the USA Signature Jeff Loomis Kelly™ model. This signature Kelly axe is loaded with premium features including an ash body with a sandblasted ash top and Black finish for a distressed and menacing look. The one-piece maple neck-through body includes a scarf joint and graphite reinforcement, providing the utmost stability against the rigors and ravages of the road. Shaped for speed, its bound 12”-16” compound radius ebony fingerboard features 24 jumbo stainless steel frets and mother of pearl sharkfin inlays. 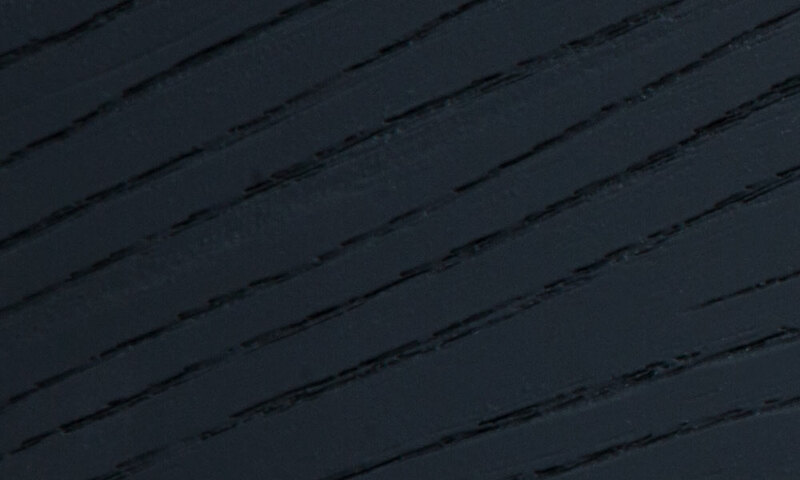 Luminlay® side dots will help guide your way up and down the fretboard even on the darkest of stages. 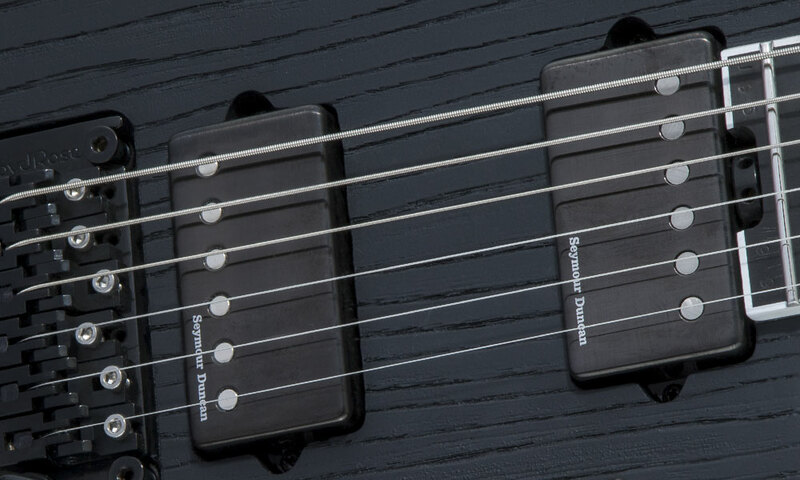 Dynamic Seymour Duncan® Jeff Loomis Signature Blackouts humbucking pickups give this metal monolith its roar of clear, articulate tones even when under the heaviest distortion. The neck pickup delivers smooth, glassy leads, while the bridge pickup sinks its teeth into more aggressive tones and sustain while maintaining its legato. 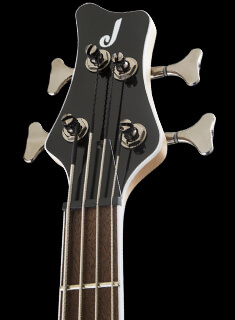 Other features include a single volume control, three-way toggle switch, Floyd Rose® 1500 double-locking tremolo bridge system, heel-mount truss rod adjustment wheel, Sperzel® die-cast tuners and black hardware. This metal behemoth is completed with a pointed 6-in-line matching headstock that is emblazoned with a chrome Jackson logo. Custom-voiced by Jeff Loomis and inspired by high-output passive humbuckers, this dynamic active pickup set is all about clarity, attack and body. This set offers a strong attack to maintain detail when he plays fast, and with enough sustain and dynamics to keep up with his advanced legato and picking techniques. 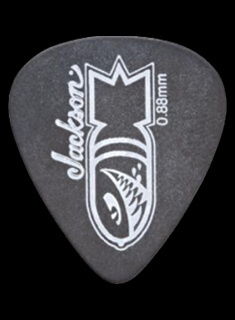 Ash exhibits a snappier tone with a bright edge, but also provides warm bass and long sustain. 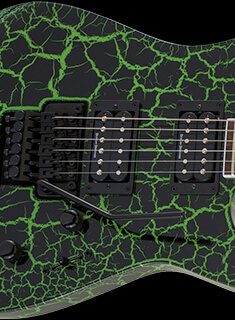 The sandblasted finish gives this axe a unique weathered texture, adding to the ferocious looks of this metal beast.